The multi-style 100 hour yoga teacher training retreats in India are residential yoga retreats at Rishikesh. 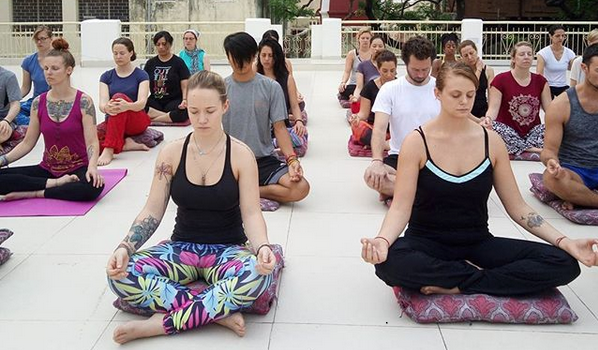 The traditional yoga taught at the 100 hour retreats is considered as the first two weeks of the four week 200 hour yoga teacher training programme. The 100 hour yoga retreats are intensive but good for beginners who want to experience yoga teacher training first-hand. After completing the 100 hour yoga teacher training you will be provided a certificate which entitles you to complete the 200 hour Yoga Alliance certification teacher training course in future at your convenience. The 100 hour retreat programme is good for people with limited time and you can learn yoga in multi-styles. After the 100 hour yoga teacher training course you cannot register with Yoga Alliance without completing the full 200 hour. If you do not wish to take up yoga professionally you can still do the two week 100 hour retreats as it is good for your health and will bring you peace of mind. After course completion, student will receive 100 hour yoga teacher training certification registered with Yoga Alliance, USA.